18x Black Champion & 8x Reserve Champ! 5x Champ, 5x Color/Reserve Champion! Simone is passing down her champion genetics. 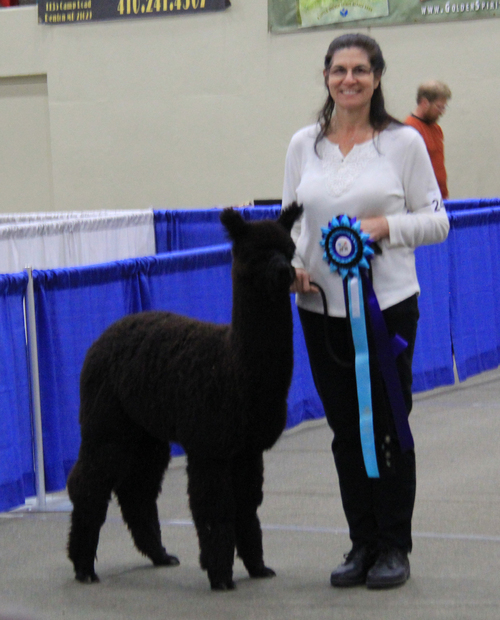 In 2015, Simone had ESTATES STRADIVARIUS, a Stunning True Black male and 16x Color/3x Reserve Color Champion with numerous blue ribbons, sired by our very own Snowmass Andean Midnight. 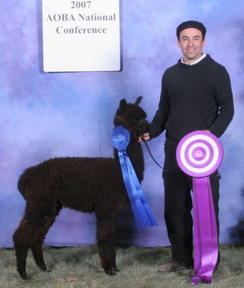 Estates Stradivarius continues to dazzle the judges with his jet black fine, dense fleece. 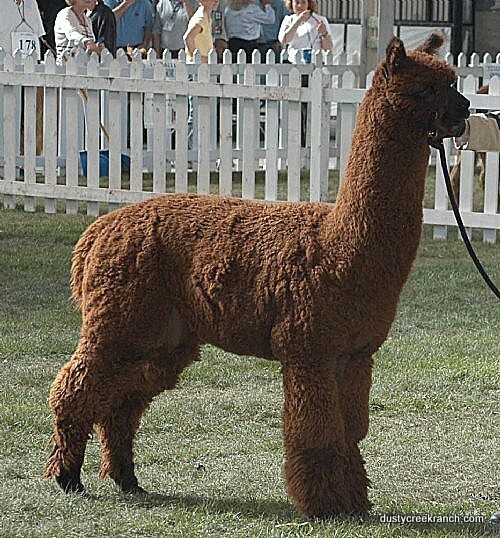 In 2013, Simone had PATAGONIA'S SEPHORA, a beautiful light brown female cria, sired by our Patagonia's Ernesto. 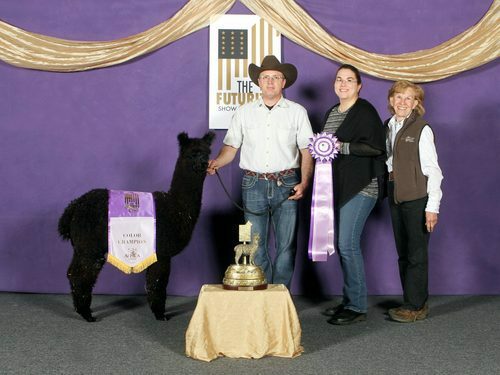 Congratulations to Mary and Michael Livingston, of Autumn Sun Alpacas, for their purchase of Estates Stradivarius! 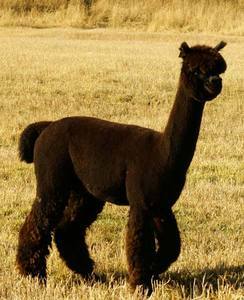 Estates Stradivarius is a Stunning True Black male sired by our very own Snowmass Andean Midnight, whose crias have luster, fineness, and unique character on top of his excellent true black genetic package of brightness and handle. 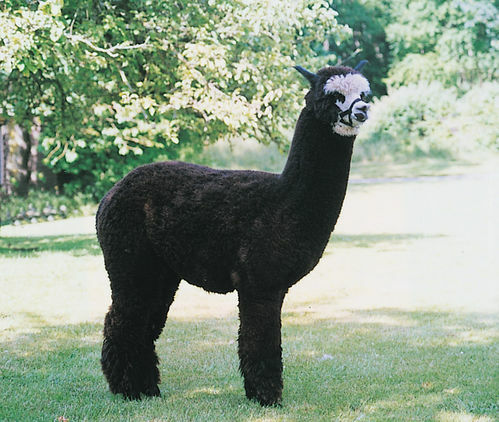 Snowmass Andean Midnight is a beautiful, compact jet true black, silky-soft male who holds an outstanding pedigree for fineness. His fiber has a uniform low amplitude high frequency style of crimp. 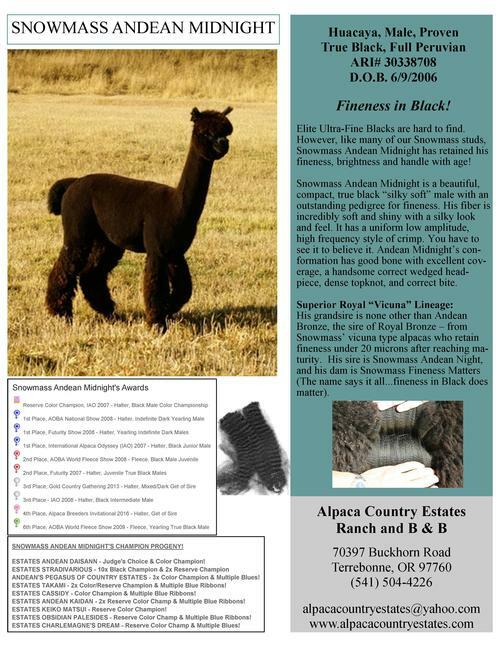 Andean Midnight's grandsire is Andean Bronze, the sire of Royal Bronze - from Snowmass' vicuna type alpaca retaining fineness under 20 microns after reaching maturity. Estates Stradivarius hit the show ring in 2016 and he continues to dazzle the judges with his jet black fine, dense fleece. The awards for this amazing male are too numerous to list. 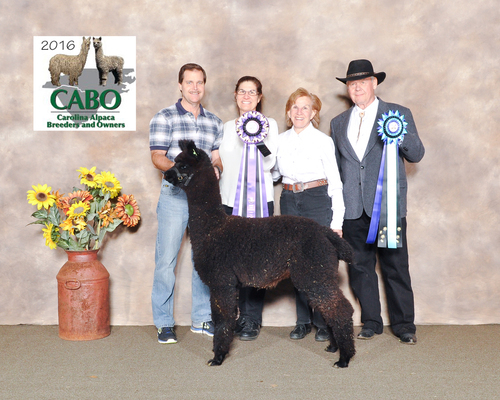 Stradivarious is now a 16x Black Color Champion and 3x Reserve Color Champion, along with being the recipient of numerous blue ribbons!